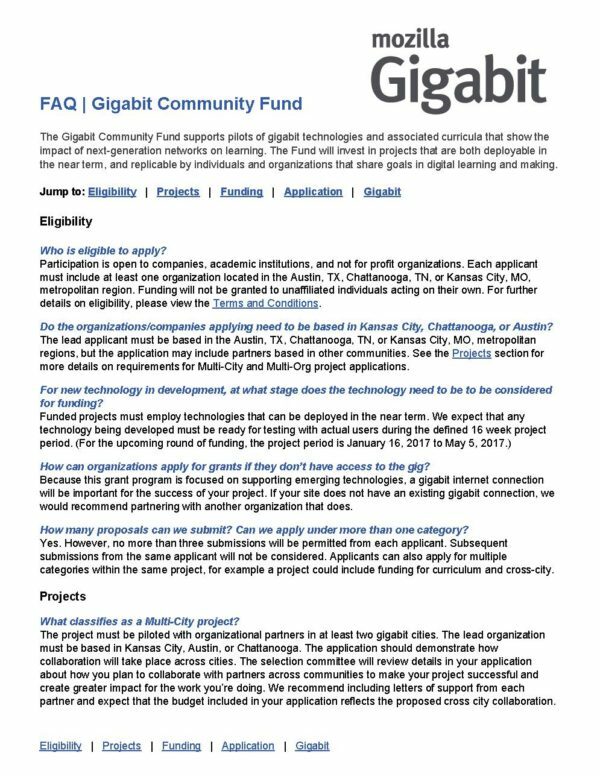 With roughly six weeks remaining to submit your Gigabit Community Fund application, you may still be working on your concept or have questions about the submission process. For the latter, we would like to share two brand new resources. The first is an FAQ document that covers frequently asked questions we heard from Round 1 applicants. The second provides you with a visual walk-through of the online application.